Please select a size to see the specific garment dimensions for that size. Select the waist size you normally buy your dress pants in. Note that the actual circumference of the waist (that will show in the size chart) will be larger than the selected size, as this is normal for pants sizing. Select the normal inseam length you would buy your dress pants in. 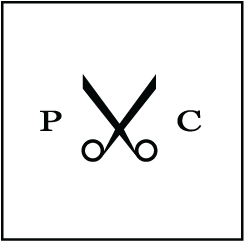 The inseam length is the distance from the bottom of the crotch of the pants to the end of the leg opening. Extra Slim is our slimmest fit around the hips and thighs, with a distinct taper from the thigh down to a narrow leg opening. 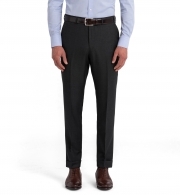 Suggested for guys that are either particularly skinny, or more average sized but want an aggressive slim fit. 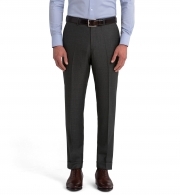 Slim is our modern, office appropriate, most popular, slim fit. Slim but not tight with a taper to the leg opening. Suggested for average sized guys that want a clean modern look that’s not too tight. Athletic is roomy in the seat and thighs, but tapered to the knee and leg opening. Designed for guys with larger thighs and buttocks relative to a smaller waist. If you’re an athlete that want’s a modern slim fit, but “Slim Fit” pants are generally too tight around your legs, this is for you. Classic is roomy in the seat and thigh with a leg that stays straight from the mid thigh down. Suggested for guys that want a more old-fashioned, roomy fit and a leg opening that will cover more of their shoe. Straight is similar to our Slim fit, but with less taper at the leg opening for a wider “boot cut”. Suggested for guys that want a relatively slim fit, but a leg opening that will cover more of their dress shoes, or fit over their boots. 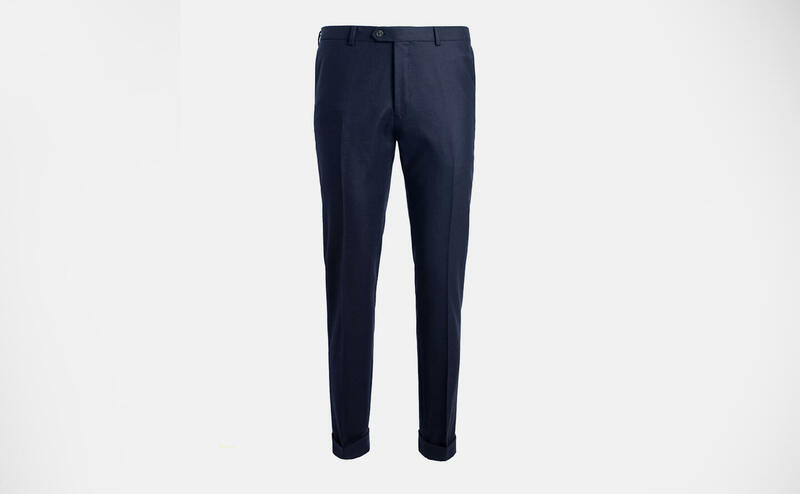 The Allen Navy Wool Flannel Trouser is cut using a premium Italian wool from VBC mill and made in your custom size. The pants feature thoughtful details like a premium curtained waistband, flat front, and cuffed hem providing additional fabric for alterations. Perfect for pairing with a sweater, sport coat, or a shirt on its own. Our pants use a zipper fly that's as functional as it is durable. 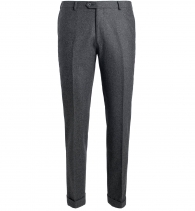 The pant has a pre-cuffed leg opening that provides additional fabric for alterations. A curtained waistband helps to protect the internal sewing of the waistband and give the lining a beautiful appearance. All of our pants come with a timeless flat front (unpleated) design that gives them a clean, stylish look. 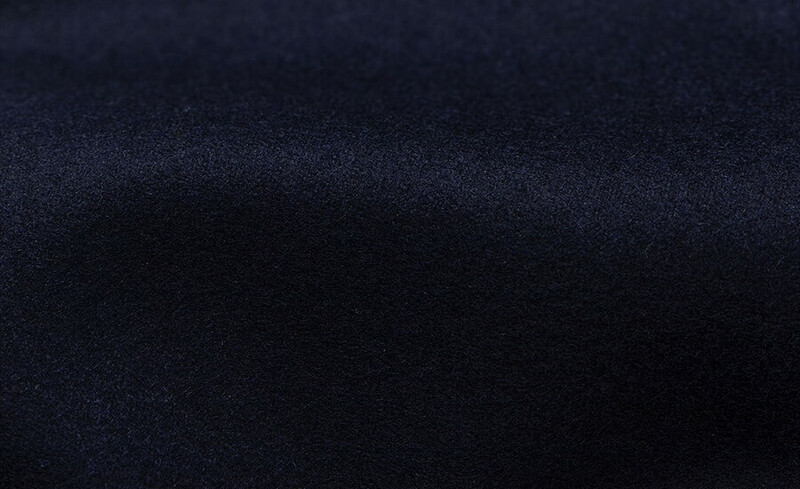 This incredible navy blue wool flannel fabric comes from Italy's renowned mill, Vitale Barberis Canonico. It's a comfortable 340g wool flannel that's perfect for the colder months of the year. The shade of navy is extremely versatile and easy to pair with anything in your wardrobe. 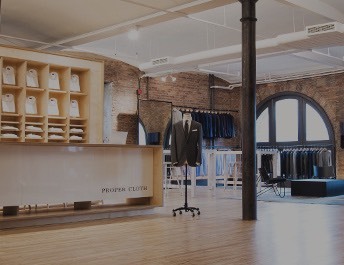 If you’re not happy with the fit of your trousers you can either return it to us for a complimentary remake in a new size, or have your local tailor make alterations. Email us a receipt for the alteration charges and we’ll credit your account or refund you up to $50 for the changes. 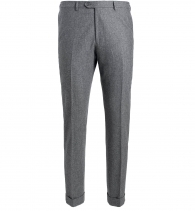 Alternatively, if the trousers is unused and unaltered, you may return it to us for a full refund within 90 days. You must select your size before adding to cart. Garment image will not reflect customizations.